This book is an abridged release featuring a compact format and lower price point. It is a great gift impulse item, or for anyone going through difficult times. How often Christians find themselves worn down by circumstances, worn through by relationships, and worn out by their own heart struggles! God seems distant ...their prayers have become platitudes. Pastor and bestselling author Lloyd Ogilvie comes alongside readers to offer words where their own words fail them, gently guiding them to pray for God's desires: the confidence that anything that happens will bring them closer to Him; the Spirit's filling, so they can love even difficult people with His unlimited grace; and, God's perspective on the new person He wants them to be ...however tough their circumstances are. As they reconnect with the Father, Christians will be able to see with His vision ...and grasp what the future can be if they put it in His hands. 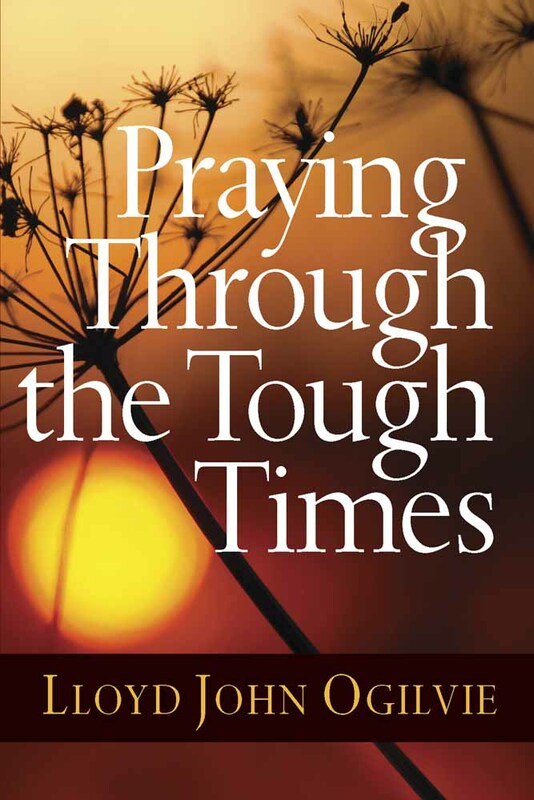 Praying Through The Tough Times by Lloyd John Ogilvie was published by Harvest House in February 2010 and is our 17828th best seller. The ISBN for Praying Through The Tough Times is 9780736927710. Why And How Do I Pray? Be the first to review Praying Through The Tough Times! Got a question? No problem! Just click here to ask us about Praying Through The Tough Times.